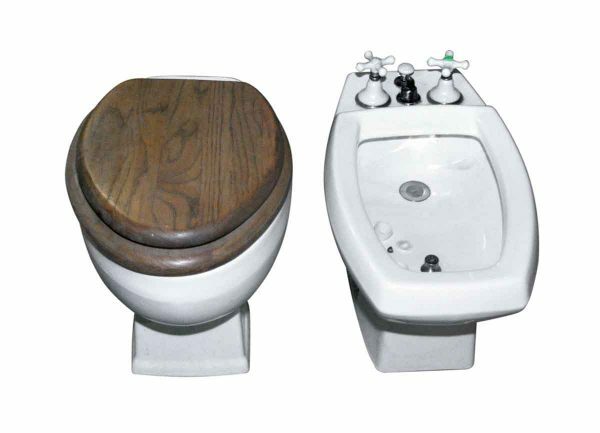 This is a quality reproduction set of matching toilet and bidet. 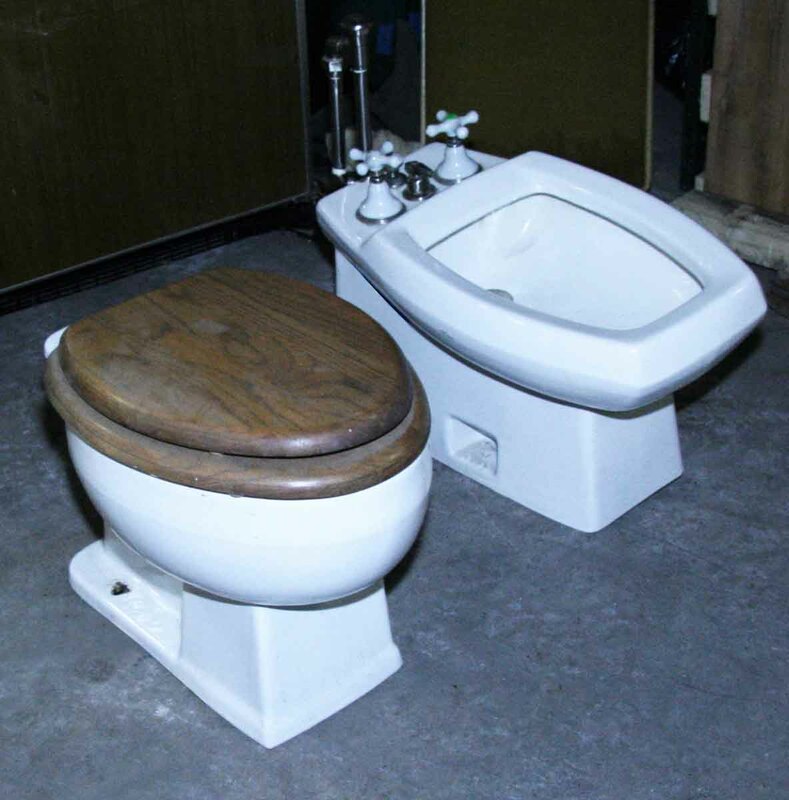 The manufacturer is Kohler and they have all of the original hardware and wooden toilet cover. Priced as a set.